Are you looking for the best way to carry your tools? Whether you’re an HVAC professional in need of trade supply or someone just starting out, it can be confusing trying to select the best HVAC tool kits. As a HVAC professional you need a wide range of tools. This includes a basic screwdriver set, hammer, tape measure, and a set of pliers. But, some jobs require a hacksaw and generator tools. Figuring out the best way to carry your tools can be a challenge. Check out the various options below to see what HVAC tool kits would be best suited for you. A belt creates a more efficient job experience. You have all your tools within reach and there’s no wasted time running back and forth to a tool box. But, you are sacrificing a few key factors when choosing a tool belt. One, you can’t carry large tools. If you need a saw or a set of large pipe wrenches, it would be cumbersome trying to carry them on a belt. It’s also difficult to carry a large variety of tools on a belt. The Verdict – A belt is great if you know exactly what tools your job needs. For example, if your job requires a cordless drill and an electric tester, then a tool belt would be good to use. Some HVAC professional choose to use a toolbox. This allows you to carry more tools than a tool belt. It also offers your tools more protection. 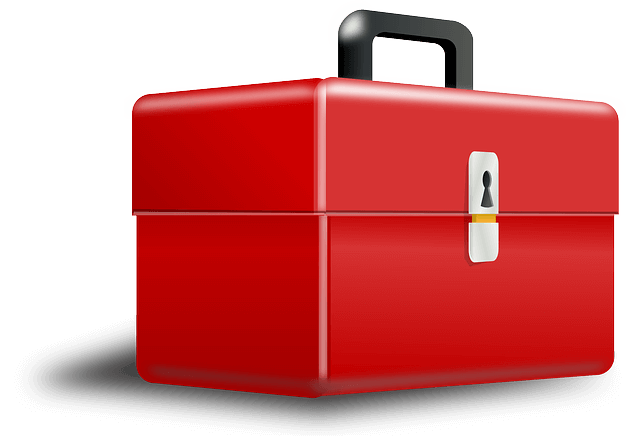 HVAC tool kits options: A rolling tool box can carry a large variety of tools. This is especially helpful if you have a bigger job that requires more tools. Some toolboxes offer you the ability to take off the top and you have access to all of your tools that you need. A few even have different tray options you can use to organize your tools. A tool bag is the best option for most job applications. They are lightweight and portable. You can carry a large variety of tools; even bulkier tools such a saw. They also offer compartments that you can use to organize your different tools. Benefits as HVAC tool kits: One of the best features of a HVAC tool kits bag is you can carry your tools vertically. This is helpful since you can change out what tool you’re using quickly. It’s also easier to keep tools organized using a bag via the different compartments. A bag is also great for throwing items in when you’re ready to leave the job site. While there are many options for HVAC tool kits, it will ultimately come down to your specific job and what tools you will need. If you’re working on a small job, then a tool belt will work. But, if a job requires large tools such as a large extension cord and saws, you may want to invest in a large toolbox. The best all around HVAC tool kits option is the tool bag. It’s lightweight, can carry medium to large tools, and is a great item to keep your tools organized. Looking for trade supply? Contact us or come to one of our three locations, we have everything you need to get the job done.